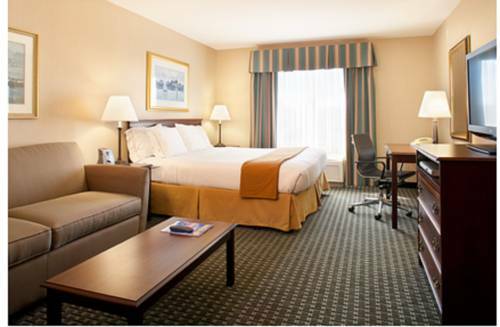 Middletown Hotel Close to Historic Newport, RI - Renovations Complete May 2018!Travelers seeking hotels on Aquidneck Island find that the Holiday Inn Express Hotel Middletown / Newport is the place to stay. Moments from historic downtown Newport, the acclaimed Newport mansions and pristine Middletown beaches, this hotel's location makes it easy to explore all the area has to offer.Boasting a legendary history, Newport, Rhode Island offers the hotel's guests countless sites of intrigue. Patrons can stroll along the historic Cliff Walk, a scenic 3.5-mile pathway following Newport's shoreline, or tour the opulent Gilded Age mansions of Bellevue Avenue, including Belcourt Castle and Chateau-sur-Mer. Downtown dining and attractions like The Newport Art Museum are other fun alternatives; and for a day outdoors, head to Newport Harbor, Atlantic Beach or Fort Adams State Park.Professional and corporate destinations, including Naval Station Newport, Raytheon and KVH Industries, also call Newport, Rhode Island home. The hotel's guests can commute with ease or host meetings at the hotel in the 1,000-sq-ft event room.While lodging here, guests enjoy every imaginable amenity from free high-speed, wired and wireless internet access and the free, hot Express Start Breakfast Bar to a heated, indoor pool and 24-hour fitness and business centers. We're waiting to welcome you to historic Newport; book your room today! Chili's Grill & Bar: American dining. Located Just steps away. Brick Alley Pub: A Newport favorite of visitors and locals alike. The Red Parrot: The Red Parrot is a lively atmosphere. The menu has a large variety of seafood, pasta, and steak options. A customer favorite is the lobster stuffed N.Y. strip. Newport MansionsFind a world of exceptional elegance and inspiration in architecture, art, interior design and landscapes. Explore 250 years of American history at 11 historic properties, located on 80 acres of gardens and parks. International Tennis Hall of FameAn uncommon example of sporting excellence. The entire history of the sport, dating from the 12th Century through today, is chronicled within its 18 galleries. Downtown NewportHome to spectacular coastal scenery, awe-inspiring architecture, a thriving waterfront downtown, and welcoming hospitality, Newport, Rhode Island is considered by many to be a shining gem in the coastal crown of New England. Brick Market PlaceDesigned by Peter Harrison and used initially as a market and granary. Now, the quaint restored area offers a tremendous variety of gift shops, boutiques and restaurants. Newport Restaurants & NightlifeNewport offers a wide array of nightlife activities. Whether you are in the mood for an espresso martini while listening to live jazz, a dance club featuring house music or classical music played in a historic mansion, you will find it in Newport. Ocean DriveNewport's Ten Mile Drive combines history of a wealthy summer community with a fabulous Newport recreational treasure of public parks and miles of public access shoreline to rank as one of the most popular "drives" in the country.